AAVSO 101st Annual Meeting will be held at the Hilton Hotel in Woburn, MA. We hope that you will be able to join us in metro-Boston for this very special meeting. Boston is a city filled with many interesting museums/attractions and Autumn is a beautiful time to visit New England. You may even want to stay a few extra days to enjoy the sights! Click to jump straight to the Meeting Operations Page, where you can register, view your registration summary, pay your registration fee, submit an abstract, or revise your abstract. - Hotel reservation deadline extended: The deadline to reserve a sleeping room at the Hilton has been extended to Friday, October 19th. - Hotel reservations online: You can now make your hotel reservation online by using this link, entering your arrival and departure dates in the top right corner, clicking on "more options" and "add a special rate code" and then entering the Group Code: AAVSO. - New Talk: We are happy to have longtime member/observer, Gerald Dyck presenting the "anchor talk" for the Solar Astronomy Session on Friday titled, “Introducing Solar Observation to Elementary Students.” We are very excited to have him as a key part of this session. First Time Attendee Dinner: We will be holding an informal gathering Thursday evening for all first time meeting attendees. Members of the AAVSO staff will be present to provide a warm welcome and answer any questions about AAVSO meetings or the organization in general. Additional information will be sent to all registrants who indicate that they are first time attendees during the registration process. Special Topic & General Paper Sessions: We will hold three special topic paper sessions on Friday covering “Young Stellar Objects (YSOs),” “Novae/Symbiotics,” and “Solar Astronomy.” A general paper session on any other variable star related topics will be held Saturday afternoon. Posters will also be presented on Saturday. All authors are invited to contribute papers to the special topic sessions, general session, and poster sessions. Keynote Talk: Kicking off the meeting as both our Keynote speaker and our “anchor” talk for the YSO session will be Dr. William Herbst. Dr. Herbst is the John Monroe Van Vleck Professor of Astronomy and Chairman of the Astronomy Department at Wesleyan University. Featured Talk: We are happy to have longtime member/observer and astronomy outreach extraordinaire, Tim Crawford presenting a featured talk on Saturday titled, “Mentoring, A Shared Responsibility.” Tim is very active in the AAVSO speakers’ bureau, the charts and sequences team, and the mentor program. Stay tuned… Additional featured talks will be announced online as they are confirmed! Closing Award Banquet: The Closing Banquet (buffet) will be held at the Woburn Hilton on Saturday evening. The banquet will be preceded by a cash bar and include several special award presentations. Sleeping rooms have been reserved at the Woburn Hilton for AAVSO meeting attendees at a special group rate of $109 plus tax. (Hotel address is: 2 Forbes Road, Woburn, MA 01801.) Please make your reservations by calling the hotel at 781-932-0999 before October 19th, 2012 (extended from 10/10/12). Please be sure to mention that you will be participating in the AAVSO meeting when making room reservations. If you have any difficulties securing the group rate, please ask for Adam Robitaille (Sales/Marketing Director). You can make your hotel reservation online by using this link, entering your arrival and departure dates in the top right corner, clicking on "more options" and "add a special rate code" and then entering the Group Code: AAVSO. Please complete the MEETING REGISTRATION FORM by October 15, 2012. You can complete this form online (you must be logged into the AAVSO website) or you can call the AAVSO (617-354-0484) to request that a paper copy of the registration forms be mailed to you. After October 15th registration will be more expensive and some events may be sold out. Note that the registration fee includes a hot breakfast buffet & coffee breaks on Friday, & Saturday. This year member registration rates are lower than non-member rates. 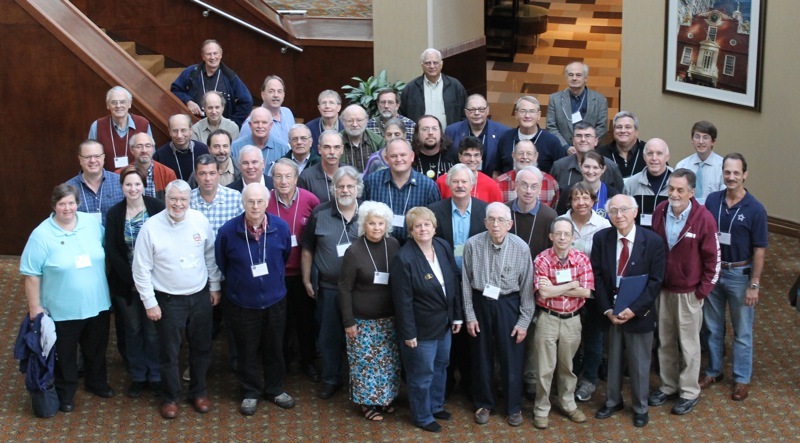 The good news for non-members: Registration now includes half price AAVSO membership through the end of 2013! Abstracts will be accepted on a space-available basis until October 15, 2012. You can complete this form online via the 101st Annual Meeting page (strongly preferred) or you can call the AAVSO (617-354-0484) to request that a paper copy of the abstract form be mailed to you. NOTE: The abstract form will not appear until you have registered for the meeting. Meeting attendees are permitted to submit up to 2 abstract forms. (This can be 2 posters, 2 oral presentations or one of each.) Abstracts are limited to 500 words. Please note: We will have a limited amount of time to accommodate oral presentations. If we are unable to schedule your paper as an oral presentation, you will be informed by October 17, 2012 and you will be welcome to present your work as a poster paper.